Data AnyWare is the preferred firm for businesses that are serious about their business software. How can you tell what's "under the hood" when you compare the websites of companies that advertise application development? While many web design firms advertise application development and database application skills, there is a world of difference between their skillset and what is needed for building powerful business applications. See in the matrix below how Data AnyWare brings more than just programming expertise to create your application. Productivity gains fueled by software-driven automation improve service delivery and go right to the bottom line. Data AnyWare sees every new (or modified) application as an opportunity to help your business operate more efficiently than you thought possible. Our “fresh eyes” on client operations and use of data often leads to ideas that streamline their business processes and automate workflows. It’s easy to be blinded by “standard” processes that have been used for years or even decades. Our goal is to help you find a simpler, more-efficient way of doing business. An attractive facade on a poorly designed building will not protect the owner and occupants from years of headaches and costly repairs. So it is with business-focused applications. Data AnyWare maintains a laser focus on functionality, application flexibility/adaptability, and data intelligence, but achieving the full potential of those design aspects depends on a performant, intuitive user experience (UX) even in highly complex conditions. Other firms may focus primarily on the visual design of the application “front-end” when they refer to UX and may fall short when it comes to delivering workflow-enhancing, “business class” functionality. How well the back-end “brains” of the application are designed is what differentiates a “pretty website” from a hard-working business application and – ultimately – whether the application propels your business forward or becomes a frustrating waste of time and money. This diagram may help you understand how our firm differs from “front-end” focused firms whose expertise lies primarily in marketing, e-commerce, and other light-weight applications. While we bring a UX-driven, functionality-first approach to application design, we realize that attractive visual design of the user interface (UI) is often equally important. We offer two options when it comes to visual design – we will work with your in-house design team who knows your branding requirements (if applicable) or with an experienced visual design partner. Leverage the power of your data and improve the ROI for your application – both short-term and long-term. Intelligent design unlocks the full power. 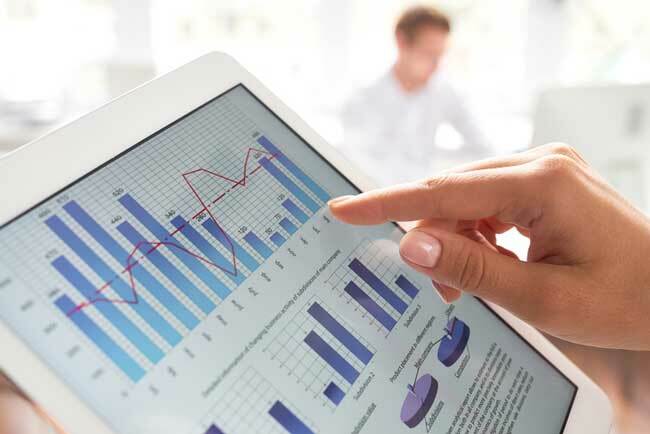 Virtually every successful business knows they must use data to improve efficiency, capture operational metrics, and attempt to improve against those metrics over time. Data intelligence, however, takes things to a whole different level. It means asking the bigger questions, solving the bigger problems, finding the opportunities that aren’t even being considered right now, and having at-a-glance access to the pulse of your business. Securing your application should never be an afterthought. Intrinsic to our software development life cycle (SDLC), our security and auditing measures help your application comply with stringent regulatory requirements such as HIPAA, FERPA, PCI, and FDA Quality System Regulation (QSR). We also provide expertise beyond just the software-specific requirements of these regulations to help your business stay in compliance.